Last week, Roger Griffiths, a proud customer of Westpac Bank for 25 years, withdrew his $190,000 savings in $20 bills after he was denied a mortgage loan. The property in Mapua, NZ cost $385,000. Griffiths had $200,000 saved in cash and was about to sell his $110,000 campervan. All of these financials exceed Wetpac Bank's criteria for a 20% down payment. Griffiths was very upset when he learned of his mortgage denial. He notified the bank of his upcoming withdrawal, and his local branch provided him with a red and black duffle bag to carry out all of his savings in cash. Griffiths' loan rejection was not the only reason to depart from Westpac Bank. A record of bad business furthered his decision. Westpac recently loss $111 million to Lane Walker Rudin Industries, a top New Zealand clothing firm. Being that Griffiths is such a loyal customer (he claims he never missed a loan payment), one would expect the bank to do business with proven, financially responsible local holders, instead of risky corporations. 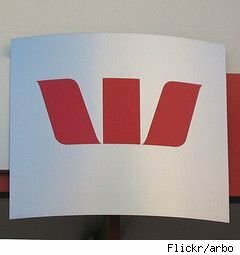 Earlier this month, Westpac's Alexandra branch manager confessed to defrauding the bank up to $400,000 and allowed $10 million to be wrongly credited to a client who has recently fled to China. Now I understand why Griffiths was fed up with this bank. It takes a lot of hard work to remain financially stable in this global recession. Since when does not having a "steady income" mean you are financially irresponsible? His financial record seems to be far better than Westpac. With all of its shady dealings, I still wonder why they are rated as "bank of the year" by Money Magazine.